In December 2015, Mitie, the FT250 facilities management company, and Vodafone UK, were awarded with the Institute of Hospitality’s quality standard accreditation, Hospitality Assured. Aimed at customer facing organisations, the Hospitality Assured accreditation encourages businesses to examine their operation from the inside out, identifying and acting upon areas of sustainable operational improvement. This prestigious accolade for service and business excellence has been awarded for the second time to Vodafone and the 1Team, which consist of Mitie’s Integrated Facilities Management team along with health and wellbeing provider, Nuffield Health. Alongside re-accreditation for Vodafone HQ in Newbury, the team has also succeeded in achieving the standard for five of the regional sites including Glasgow, Manchester, Stoke, Birmingham and Paddington. The team was assessed against the criteria in Hospitality Assured’s nine-step standard, which includes customer promise, service delivery, training and development, resources, business leadership, planning and customer service improvement. The quality standard underpins the strategic vision of Vodafone and supports the partnership with 1Team to achieve the highest standards of delivery and focus on the customer experience. 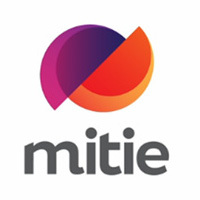 Vodafone UK currently receives a comprehensive range of services from Mitie, including fabric and engineering maintenance, workplace management, travel management, energy management, security, cleaning, mailroom and couriers, helpdesk, landscaping, waste management and pest services.